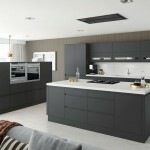 Orion is our matt handleless kitchen range. 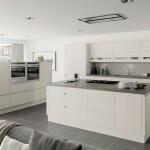 Handleless style is created using a slab door with a J-shaped groove on the top/bottom. 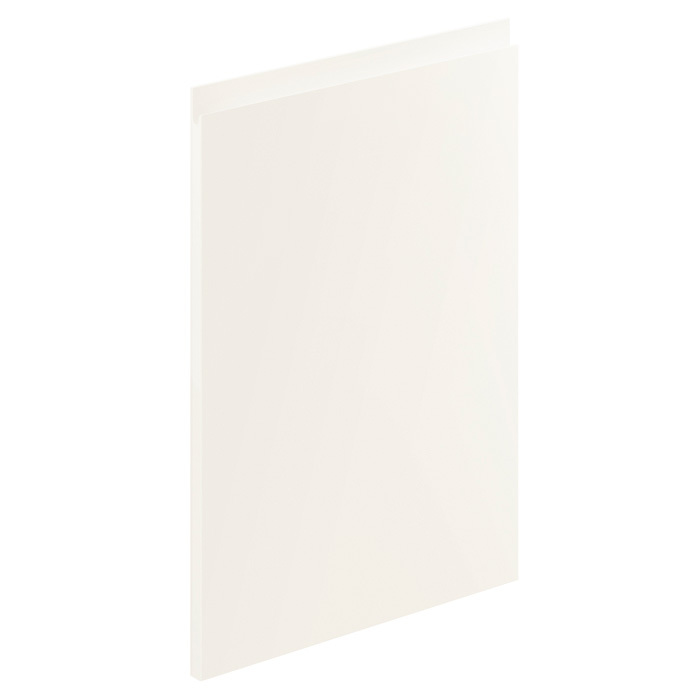 This type of door creates a minimal handleless look with clear contemporary lines. 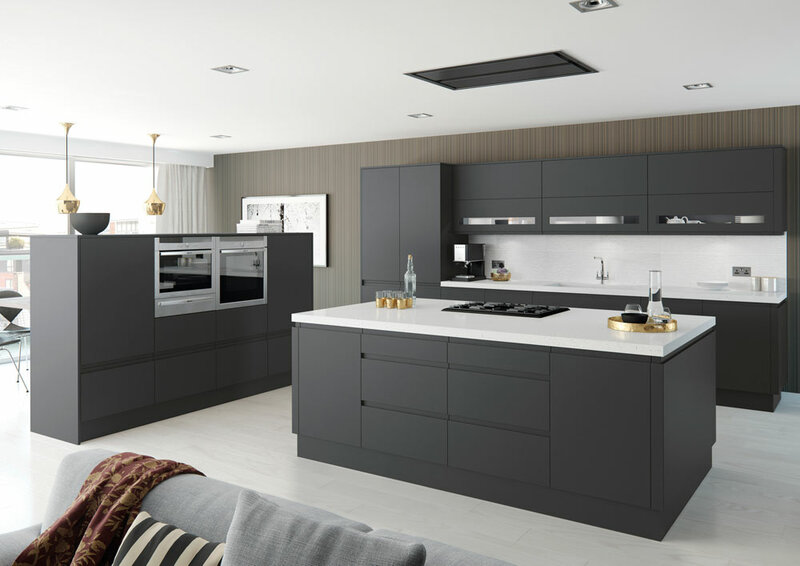 What makes our Orion handleless matt kitchen range unique, are a number of unique door features such as glazed door fronts. J-groove profile on the top/bottom of the door is designed to create a handleless door which is opened with top of your fingers. J profile handleless doors are one of the best selling kitchen doors in the UK market. Painted matt doors are made from MDF that has had several coats of high quality matt lacquer applied. The result is the ultimate silky smooth matt kitchen door finish. Each door is individually hand painted. 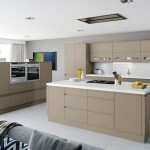 Add a touch of class to your kitchen by using unique glazed handleless door or frame doors. 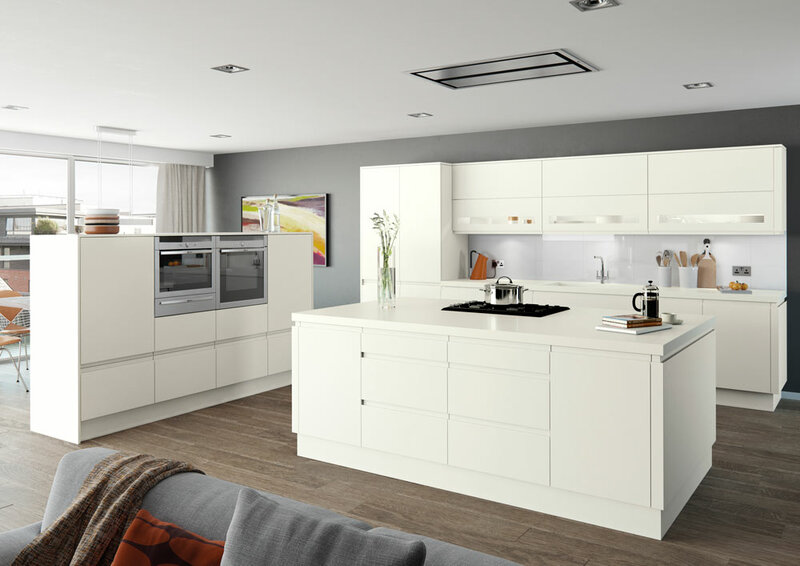 With options such as external curved doors, curved end posts, square end straight cornice & curved plinths, you can really create unique handleless kitchen. 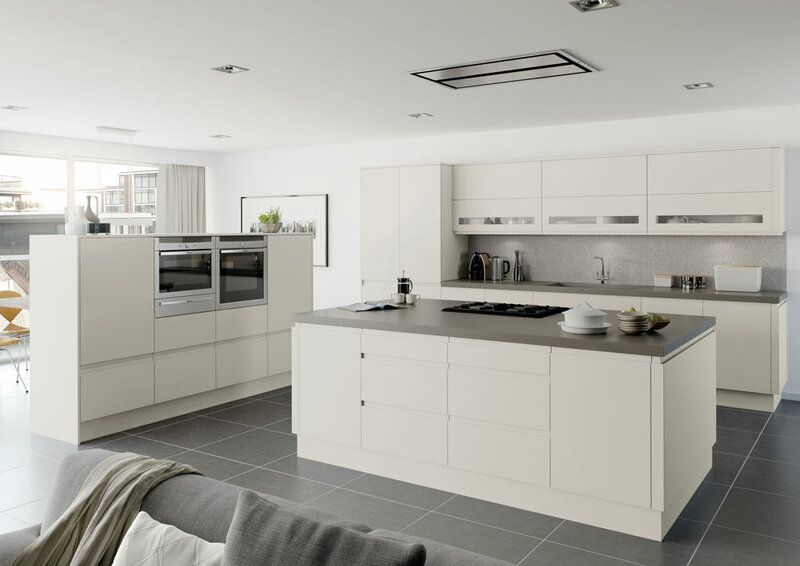 By using glazed doors, we can create that elegant luxurious handleless kitchen look. 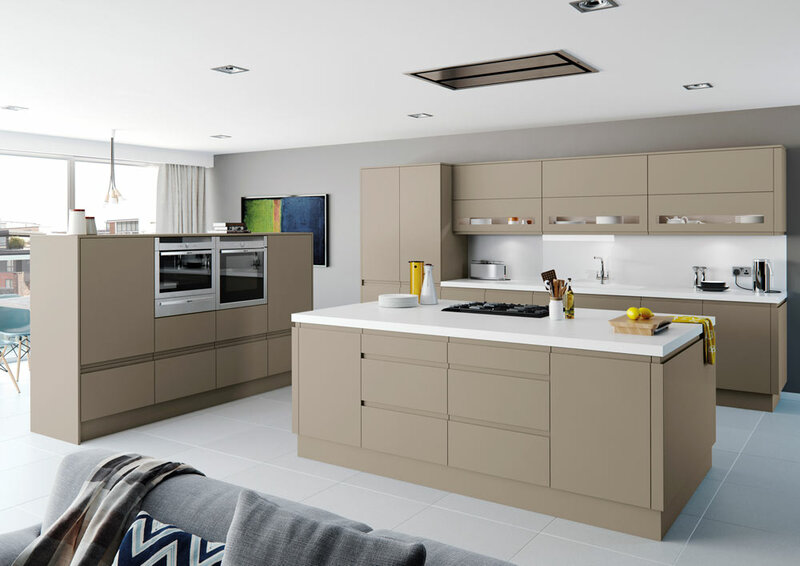 Available in 4 modern colours, our Orion kitchen doors are fully stocked in the UK. 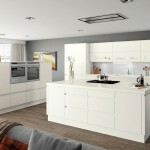 This means we can supply and install your handleless kitchen in less than two weeks. Standard door matrix features 80 door sizes so we can work around your kitchen layout with ease. Available in four of the most popular colours in the UK handleless door market. View the door colours by clicking on the images below.